I've been meaning to share this little guy for a while. Typical rust problems, but it runs and it's still pretty damn cool. Haven't seen who drives it yet, though they live nearby. You don't see these too often, ya' know? 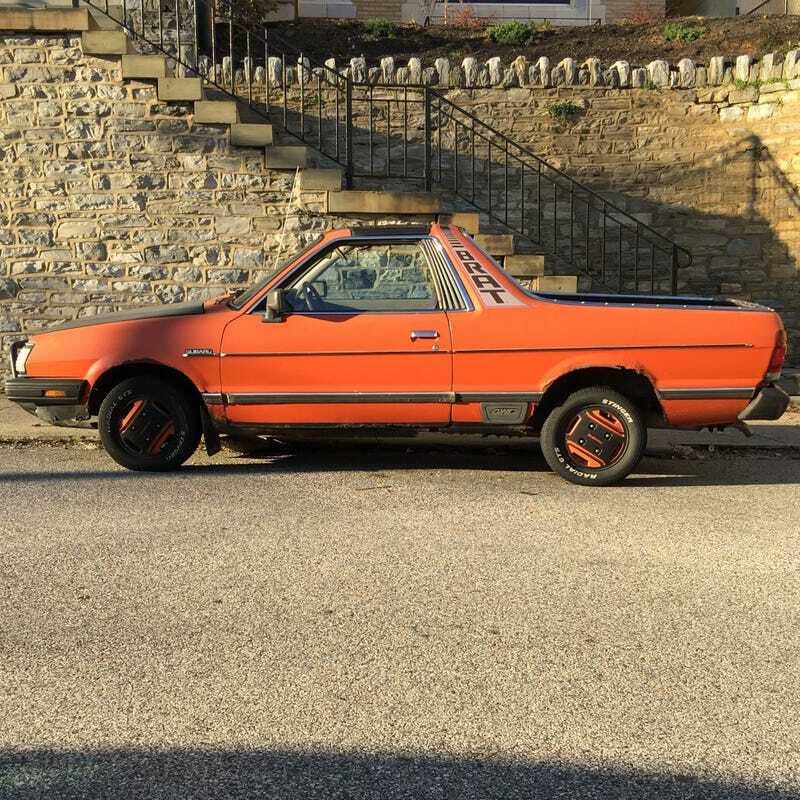 EDIT: Could a Brat be Doug's new winter beater?